As a teenager, Mosisa was diagnosed with adolescent idiopathic scoliosis, but the surgery he desperately needed was nothing more than a dream. Mosisa spent the last decade in pain, and feared he would lose his job as a mechanical engineer and ability to provide for his family. 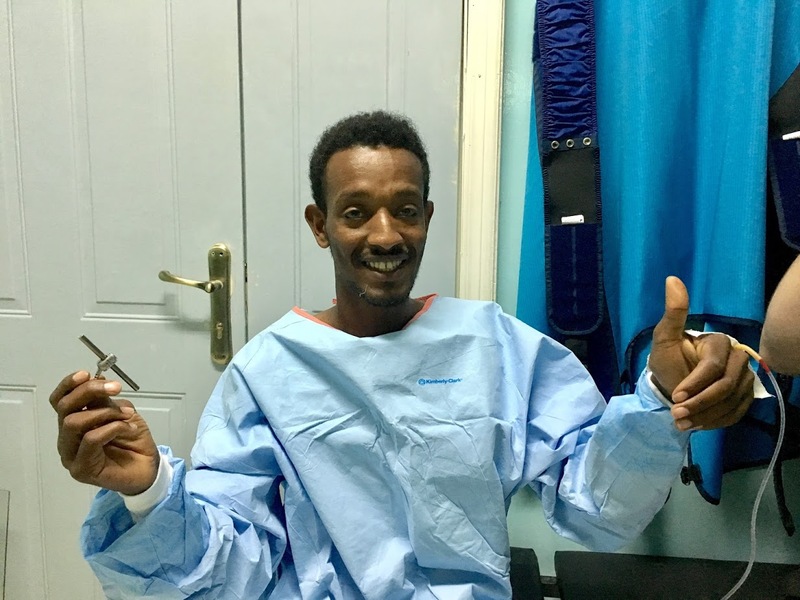 In October 2017, Mosisa’s wait was over and he received spine surgery thanks to a NuVasive Spine Foundation (NSF) mission trip with Global Peace & Love Foundation. Determined to have the surgery, he drove more than 200 miles by himself to the hospital in Addis Ababa, Ethiopia. Now, Mosisa is looking forward to rebuilding the life he thought was lost. Help more patients like Mosisa get a second-chance at life. Donate to NSF today! Mosisa is ready for surgery!